This disconnect can begin happening from a young age. 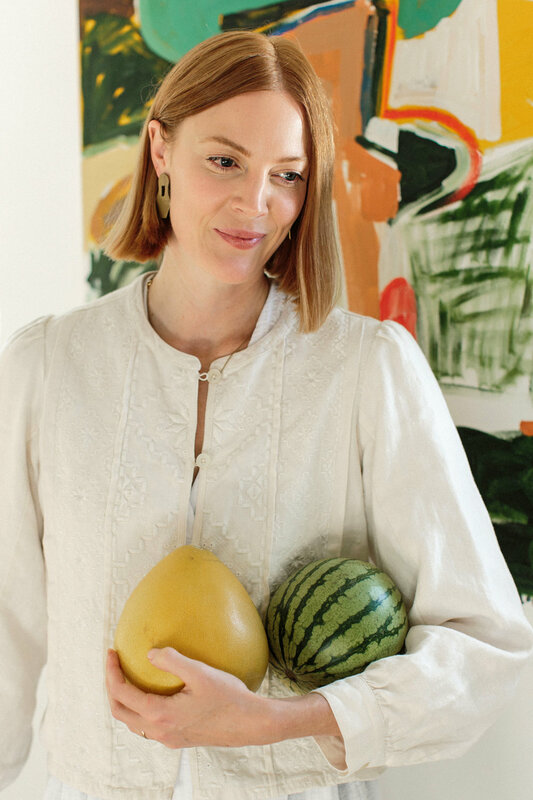 When starting solids with babies, one of the most important things I promote is to honor the intuitive ability that babies have to self-regulate their intake. However, we’re conditioned to convince our babies to “finish the whole jar” of purée. Or we get our toddler to “take one more bite”, or tell them “no dessert until they finish their dinner”. With these external forces dictating a child's consumption, it overrides their ability to listen to their body’s own needs and teaches them to ignore their own cues of hunger & satiation. Combine this with the constant barrage of conflicting dietary advice and it's easy to see why most adults have completely lost touch with how to best nourish themselves. The word “diet” has become synonymous with weight loss and restriction, but diet is actually just the total sum of food consumed. In other words, it’s what you eat! Unfortunately when we begin trying to figure out what our diet ‘should’ consist of, we’re often left with more questions than answers. It’s all about tuning in and eating intutivley, but how do we do that? Just like the seasons, our bodies go through cycles. So as you change over time, your nutritional needs will change as well. This is all part of an ever-evolving journey of finding balance. It’s also why there’s no one-size-fits-all approach to eating. Getting into the habit of eating mindfully will help you honestly assess if what you’re consuming is fueling your body in the best way possible. Are you a habitual eater? Don't worry, this is a natural human instinct that is even exhibited by very young babies! But it's beneficial to get into the practice of eating mindfully and becoming aware of your patterns. Do you eat when you’re hungry, or do you eat when you’re bored, sad, watching a movie, driving, doing a certain activity? If you know your patterns you can be prepared by having healthy options within reach during those times. There’s no need to do this obsessively, but it’s a beneficial practice to check in with yourself every so often. If done routinely enough, it will eventually become second nature. 1) Before you eat: How hungry are you? What are you craving? Are you feeling bored or emotional? 2) Halfway through your meal: How full are you? Is the food satisfying? Are you feeling present or mindlessly munching? Are you paying attention to the flavors, textures & colors of your meal? 3) 1-3 hours after your meal: How is your digestion (bloating/gas)? How are your energy levels and mood? Are you still feeling satisfied? When you start listening to the numbers you’re more likely to stop listening to your body. People often become less able to tune into their body’s internal cues when they become dedicated to tracking and letting numbers dictate their diet. What to do instead? Find a balance that works for you. Taking some simple measures to balance your meals helps you maintain balanced blood sugar, which can be nothing short of life-changing for some people. I firmly believe that the majority of the population suffer from unbalanced blood sugar on a daily basis, all without knowing that they possess the ability to feel much more vibrant, energetic, and focused. There are many symptoms that accompany blood sugar irregularities. 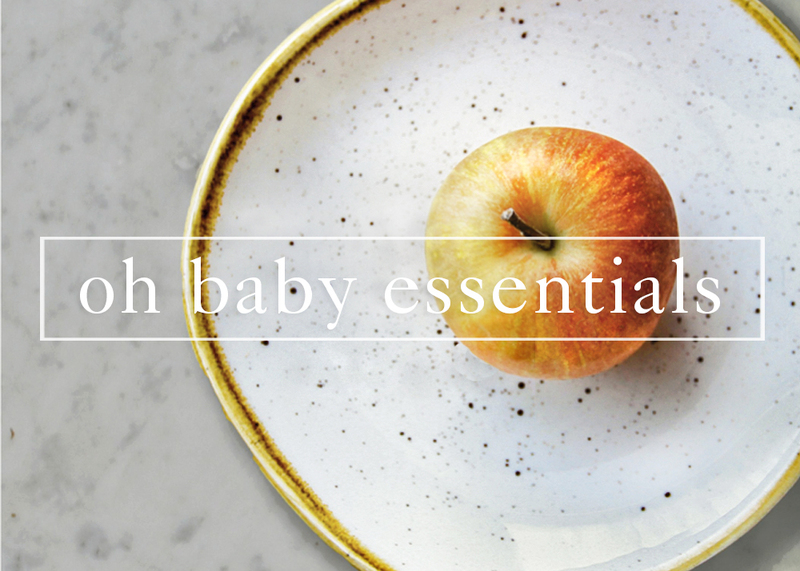 My new guide, Oh Baby Essentials, is designed to help you simplify balancing your meals. It’s broken up by macronutrients (carbohydrates, proteins, and fats) to help you mindfully discover which ratio work best to help you meet your needs and reach your goals. Don’t be afraid of actually eating! Especially if you eat real foods, whole foods, balance your meals, enjoy what you eat, and listen to your body by obeying your hunger signals and stopping when you’re satiated. Unfortunately for most, going ‘on a diet’ involves some level of deprivation. Whether this is under eating (not getting enough calories/nutrients) or the mental deprivation of restricting. Yes, we all know that sugar can detract from our health, but simply cutting sugar (or restricting and avoiding anything in your diet) can leave you feeling very deprived. Plus it can take the pleasure out of eating! Changing habits is hard, and changing mindset can be even more challenging. If we want to have a healthy relationship with food, we need to rethink our conditioning around food. Food is fuel and necessary nourishment for our bodies. It’s not about less, but rather more. More nourishing, more balance, more mindfulness. Instead of a long list of foods to avoid, Oh Baby Essentials offers a unique approach that emphasizes healthy alternatives & nutritious swaps. This enables you to make informed choices that will leave you feeling empowered and satisfied, instead of deprived. Oh Baby Essentials helps you build a strong foundation while finding a healthy balance that works for your life. This unique series will enable you to make empowered choices that will leave you feeling satisfied, instead of deprived.